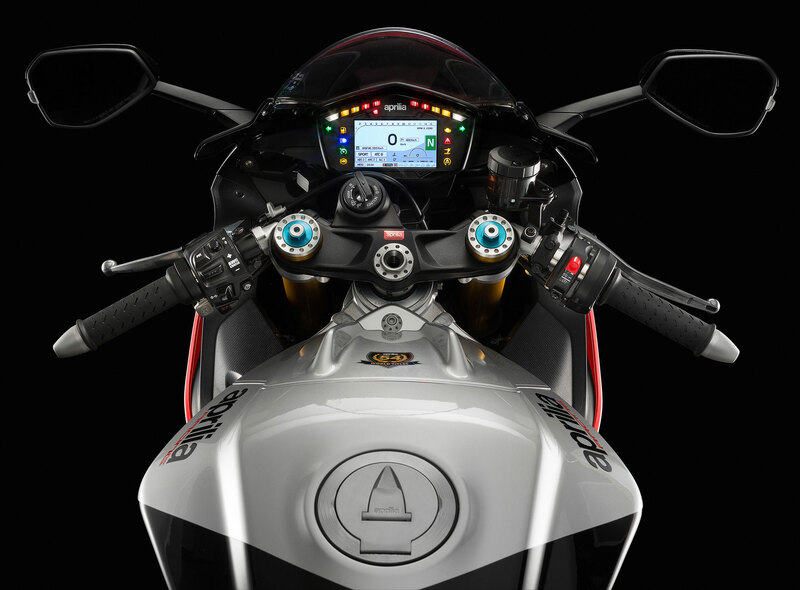 NEW YORK, NY – 27 JUNE 2018 – Aprilia, the most advanced technical brand of the Piaggio Group, created the Aprilia Racing Certified Dealer Program to train the global network of Aprilia dealerships on the more advanced technical concepts surrounding the brand, which remains one of the most successful in the history of racing. Visible in the competitions of MotoGP and World superbike, Aprilia Racing continues to push the envelope of technical race solutions; a point proven with the iconic Italian V4 engine in the Aprilia RSV4, which captured a position on the podium this weekend at Laguna Seca. Following North America’s only WSBK race event, seven dealerships from across USA and Canada became certified in the advance coursework provided directly from Aprilia Racing’s own Fausto Colombo (Aprilia Racing Specialized Technician), Moreno Barin (Aprilia Racing Electronic Engineer), Loris Conte (Aprilia Racing Electronic Engineer) and Michele Bertelli (Aprilia Racing Engineer). Proximity to the Milwaukee Aprilia team throughout the weekend allowed dealers to experience the garage environment and technical applications first-hand – a demonstration that saw a fourth-place finish Saturday, turn into a podium third-place finish with Eugene Laverty on Sunday. In the classroom held at Moto Talbott Museum in Carmel, CA, the dealers received a special visit from American race legend Wayne Rainey who commended the participants for their effort to further assist the race community, and their commitment to learn, develop, and educate on the advanced engineering, both mechanical and electronic, for today’s demanding race enthusiasts, many of the technologies he admits were not available in his day and will make the next generation or riders safer with this education and support. used in WSBK –the only manufacturer in the world developing all the electronics in house, which has played a fundamental role Aprilia’s race success), vehicles dynamics through RSV4 chassis and adjustments for different performance objectives and rider or circuit styles, race engine setup to achieve necessary race improvments and results, and The Aprilia Racing Factory Works Project from accessory options available to consumers as well as Aprilia Racing full motorcycle options direct from Noale. The dealerships, the first of any worldwide and of any such training provided by any other manufacturer, included US representation from Aprilia Portland (OR), Seacoast Sport Cycle (Derry, NH), AF1 Racing (Austin, TX), Imperial Sportbikes (Denver, CO), MotoClub di Santa Monica (CA), La Moto Washington (Arlington, VA), and from Canada, Goulet Moto Sports (Montreal, QC).